We had the chance to connect with David, who told us all about camping at Paynes Prairie Preserve State Park, how he likes to spend his time and their proximity to Gainesville. When was Paynes Prairie Preserve State Park founded? How did it start? 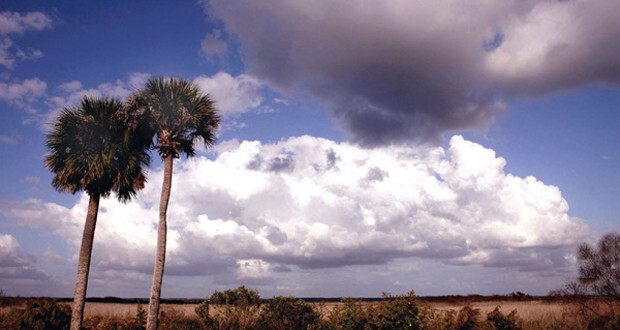 Paynes Prairie Preserve State Park was Purchased in 1970 and became Florida’s First State Preserve. The park is now designated as a National Natural Landmark as well. The preserve has a rich array of wildlife and livestock from alligators to bison and over 270 species of birds. With over 270 species of birds, this is really a bird watchers paradise. People love to come to the park for the wildlife viewing as well. The American Bison are certainly a draw and have become very well known in the park. Hiking is another popular activity as there are 8 trails including the 16 mile long, paved Gainesville-Hawthorne State Trail. Where is Paynes Prairie Preserve State Park located? What are some other attractions in the area worth checking out? The Preserve is immediately south of the City of Gainesville. Being home to the University of Florida, there are numerous opportunities; the Museum of Natural History, several other state parks in the area, including some with first magnitude fresh water springs. Paynes Prairie has 35 RV sites that are shaded with some buffer zones. We also offer tent camping with 15 tent campsites. These are walk-in sites with a little more space between each campsite.